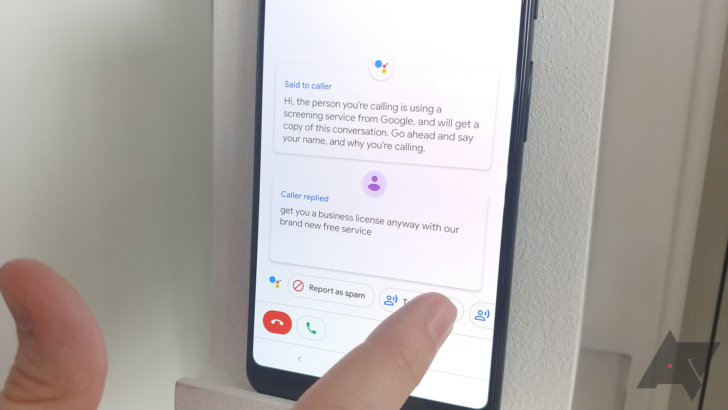 The call screen was arguably the most impressive feature that Google introduced at the Pixel 3 launch event. Google's AI can answer the phone and ask for the purpose of the call by providing a transcript of the call on screen, so you can decide whether to talk to it or not. At the moment, the transcripts disappear as soon as the call is over, but the ability to save was confirmed for arrival later this year. I am pleased to announce that we will start supporting the transcript save later this year. The transcript for the monitored portion of the call will automatically be saved in your call log after the call has ended. You can access it from the Call Details section of a single call log item. This will initially be available for our public beta testers, and later for all Pixel 3 users. 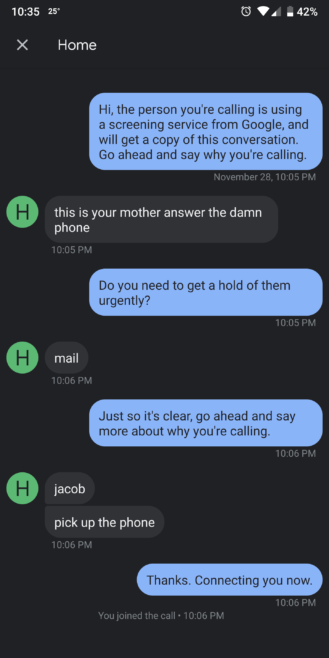 This makes Call Screen even more useful. We do not have that much problem with spam calls here in the UK, but I know that my colleagues on the other side of the pond have to suffer several times each day, which Call Screen really needs to be a godsend. To make sure you're using the transcript store feature first, sign up for the phone app beta here. Google has begun to roll out the on-screen transcription feature, although it's not widely used. To see if it has been put into service for your phone, tap "Call History" under "Recent Calls" and then look for a new "Show Transcript" option.